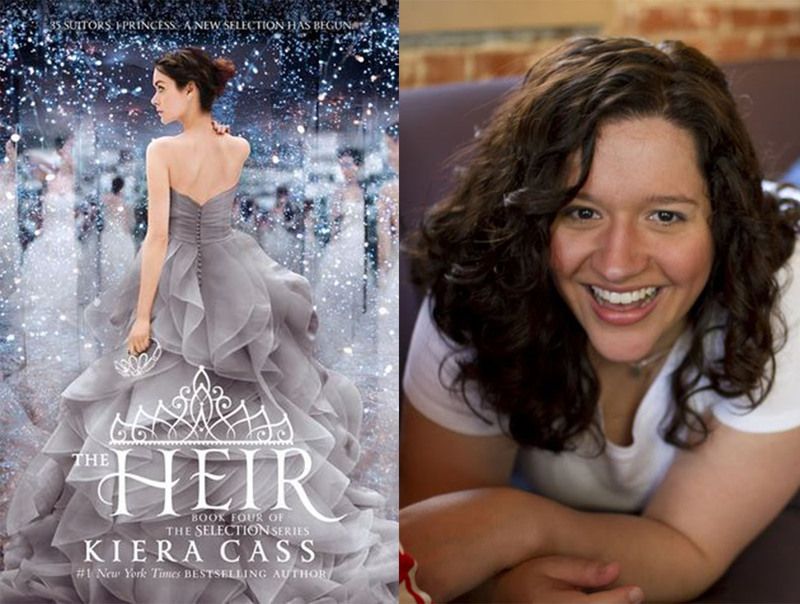 Fifth in my series of Author Q&As is Kiera Cass, author of The Selection Series. The Heir, the fourth installment in the series, will be released on May 5, 2015. Kiera Cass: May. In another world we’d be BFFs. J: What is the greatest piece of writing advice you’ve ever received? KC: Hard to say, but honestly, take all writers’ advice with a grain of salt. Different things work for different people. J: What do you do when you’re in a rut or have writer’s block? KC: I cry. A lot. Thanks for answering my questions during the twitter chat, Kiera. Be sure to check out The Heir and The Happily Ever After: A Companion to the Selection Series when they hit stores.